Pipe: Peter Blake: “Blake’s Artists and Other Collages” at Wetterling Gallery in Stockholm. 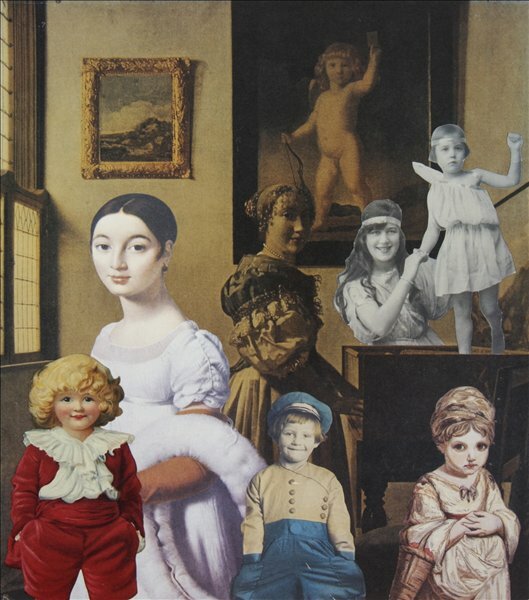 . .
Peter Blake: “Blake’s Artists and Other Collages” at Wetterling Gallery in Stockholm. . .
Wetterling Gallery in Stockholm is at the moment showing 37 artworks by Sir Peter Blake (who Pipe spotted at the London Art Fair earlier this year). In this exhibition Blake, reminds us that he is still the master of making art out of ‘pop’, with many of the paintings and collages presented in Artists and Other Collages embracing the emblems and iconography of popular culture. When Blake turned 65, he spoke about retiring from the competitiveness, sniping, jealousy and ruthless ambition of the art world. However, it’s clear he had no intention of stopping working. This is also abundantly evident when one looks at the work presented in this exhibition. The majority of the artworks having been produced in the last ten years are testimony to this. Blake has always been a fond collector of both ‘high’ and ‘low’-culture and he holds an exceptional talent for bringing them together. The collages presented in this show are no exception either. These are blissful mixtures of diverse materials, figurines, ornaments and motifs from different decades; sometimes even from different centuries. What really strikes me about many of the pieces in this exhibition are the often unobtrusive colour combinations and compositions which they often display. I find Museum of Black & White 8 & 12 (in homage to Mark Dion) especially well composed and very beautiful. Generally I think that most of Blake’s artworks are tied together in an uncomplicated, aesthetical and well composed way. As mentioned in the galleries press release; “Blake views the collage technique as a way of thinking”. Furthermore these pieces show an artist who has become an expert in intergrading his and other artist’s work together and of using the history of art as a reference point. For example; Part 1. Sing Song (1985) or Birds 3 (in homage to Joesph Cornell) (2010). If you are in Stockholm or a just passing it’s definitely worth popping into the central Wetterling Gallery to see the exhibition. Blake’s Artists and Other Collages runs until March the 24th. Blake’s passion for the collecting of memorabilia doesn’t seem to dry up. Last year he curated the much hyped and critically acclaimed Exhibition II, at the Museum of Everything in Primrose Hill. Some of the readers who have followed Pipe from the start might remember the piece we wrote about the exhibition. If not, you can read it >> here. Close up of Museum of Black and White 12. It could be yours for the tidy sum of £62 000. . .